Copiers Are Useful for More Than the Office? We live in a world where copying reaches beyond the office setting. While copiers still see prominent use in the office, communication and sharing information reach into environments outside the office setting. For example, have you ever visited a convention? If you have gone to a convention, chances are that you likely learned of it through numerous pamphlets and fliers. Conventions will often have thousands and thousands of people, and the chances are that they first saw it through advertisement. What other places might you see the copier in use? 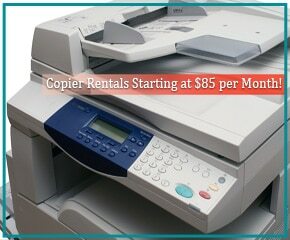 We see copiers used a lot in schools, where they often used to copy materials. For example, the student’s assignments have often been photocopied. Have you been to the school library? During these times, you may have had a project where you needed to copy or scan something to work. With as many students as there are in school, now imagine how many times that copier sees use. All types of documents that the school needs a record of will also be printed off. Finally, we have business training events, which serves as a training class for businesses. Every individual who attends the class will need the reading material. While a copier may not seem as essential in other environments, they do see use outside the office.